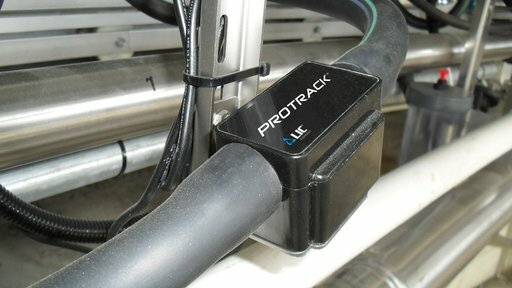 An overhanging antenna allows us to retrofit Protrack ID into the majority of herringbone milking sheds without significant or costly engineering work. 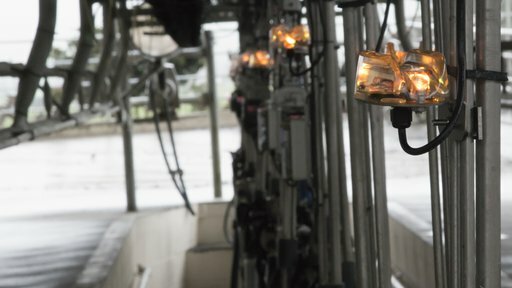 The EID reader identifies animals by their half-duplex (HDX) tags as they walk under the antenna and into the milking shed. Your compatible device is updated with the cow number and her position. Any alerts related to that animal are displayed to you. The antenna hangs approximately 1.6m from the ground and can be adjusted for height depending on your animal size. 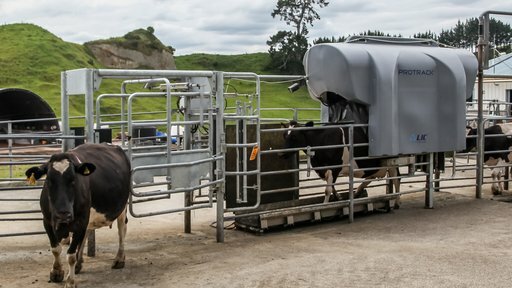 When combined with SCC and Milk, Protrack ID provides automatic and accurate recording of SCC and milk results to the identified animal and offers production and animal health reporting to support treatment, dry-off and culling decisions. 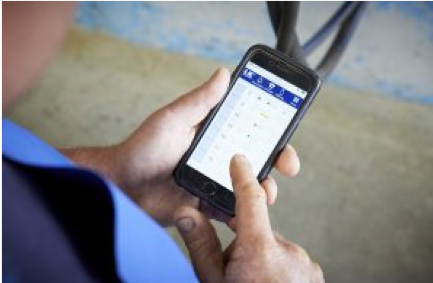 Download the Protrack ID product guide. Automated, in-shed animal identification system.